I made it to my destination. At the end of my road, I found my friends and secular goddaughters at their parents’ home in rural Virginia, about an hour west of Charlottesville. 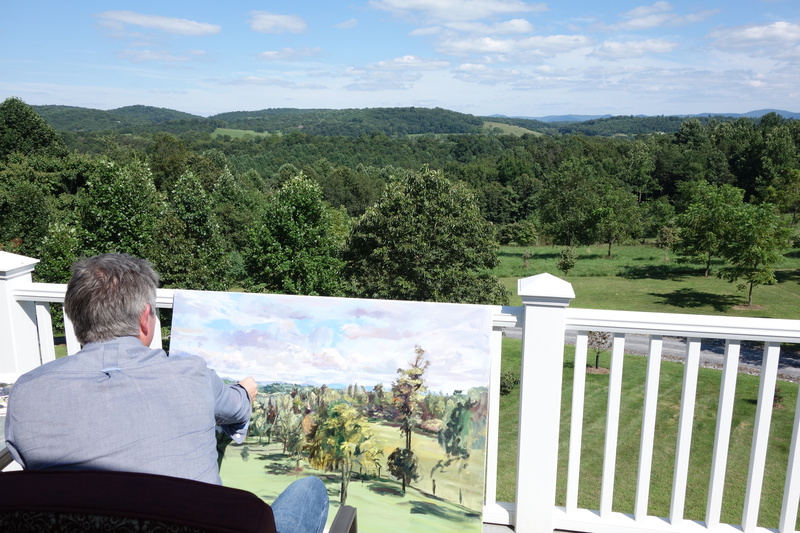 When I arrived, Jonathan was painting the view from the terrace. Over the next several days, we’ll visit Monticello, bake biscuits with Natalie Dupree and Cynthia Graubart’s great book, Southern Biscuits, and enjoy the markets and fairs in the surrounding counties. I’ll check back in occasionally, before I start on my return trip. Love hearing from you all. Love hearing about the trip…iam so proud of you to do this!